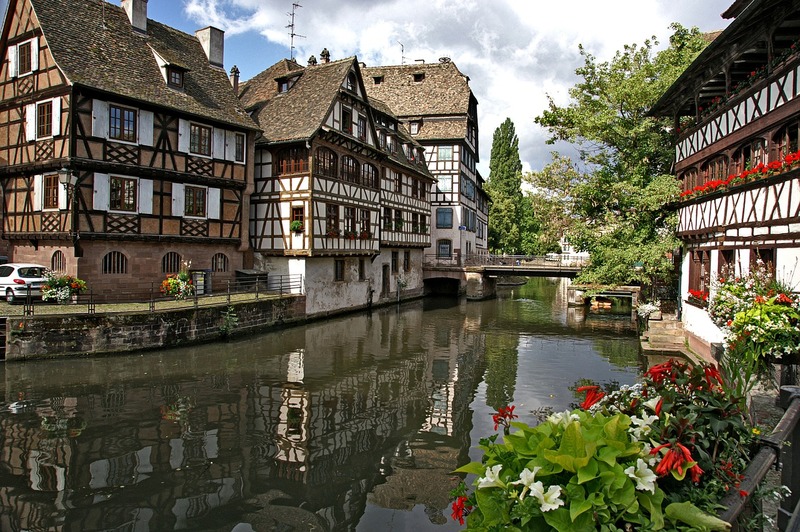 Strasbourg is the sophisticated, cosmopolitan capital city of the region of Alsace in France. It is also the second capital of Europe (sheltering the headquarters of the Council of Europe, the European Parliament, and the European Court of Human Rights). Take a walk around this Town of Roads (what its name literally means), visit the huge pink cathedral, see the organ used by Mozart, taste the sweet temptations at the Museum of Chocolate and end the day with a romantic boat trip along the river. Strasbourg Cathedral (Cathédrale Notre-Dame de Strasbourg) – This is the highest church in France and the fourth-highest in the world – 142 m. It wass built in Gothic style in the XII-XV century. Beautiful stained glass and sculptures adorn its western façade. The building is also known for its Astronomical clock, showing not only the time but also the position of the planets. Don’t miss to visit the top floor offering a marvelous view to the city. The cathedral is situated at Place de la Cathédrale on Grande Île Island. Kammerzell House (Maison Kammerzell) – This building decorated with wood-carvings belonged to a rich family of traders in the XV century. In the past the ground floor used to shelter many stores. Nowadays the house is turned into a restaurant, offering mouth-watering French specialties in a cozy atmosphere with a view to the cathedral. It is located at the Place de la Cathédrale, to the right of the Strasbourg Cathedral. A walk in La Petite France – Welcome to the Little France, or what the name of this picturesque quarter literally means. In the Middle Ages it used to be the center of the city. It is situated in the south-western part of the Grande Île Island and is full of numerous river channels. Here you can see wooden wheels on the roofs of most of the houses, placed there to help the storks in their nesting, and indeed, many birds settle a home there during the spring. 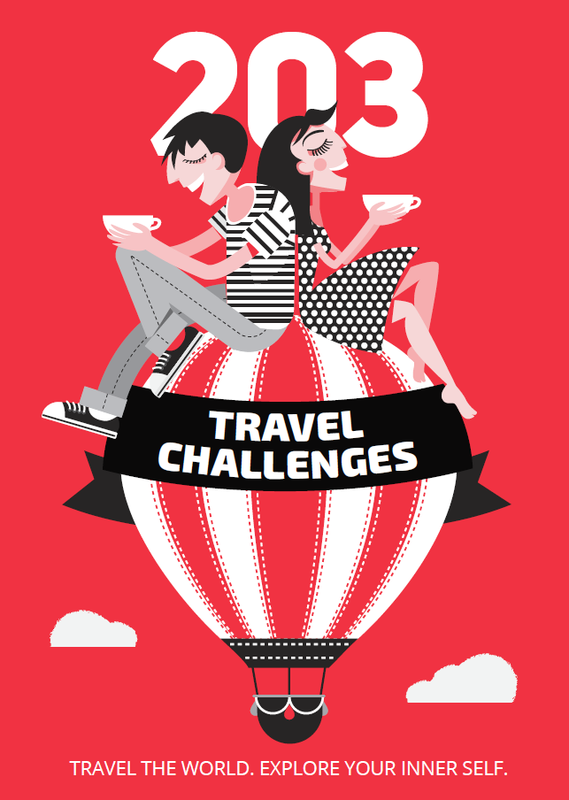 You should take a walk along the narrow streets and flower paths along the channels and have a cup of coffee at any of the local cafes. Boat trip up the Ill River – What about a romantic dinner on a boat, enjoying the reflection of the city lights sparkling on the surface of the water? You can rent a boat every day from spring to fall and sail along the Ill River, which goes round the Old Town of Strasbourg. 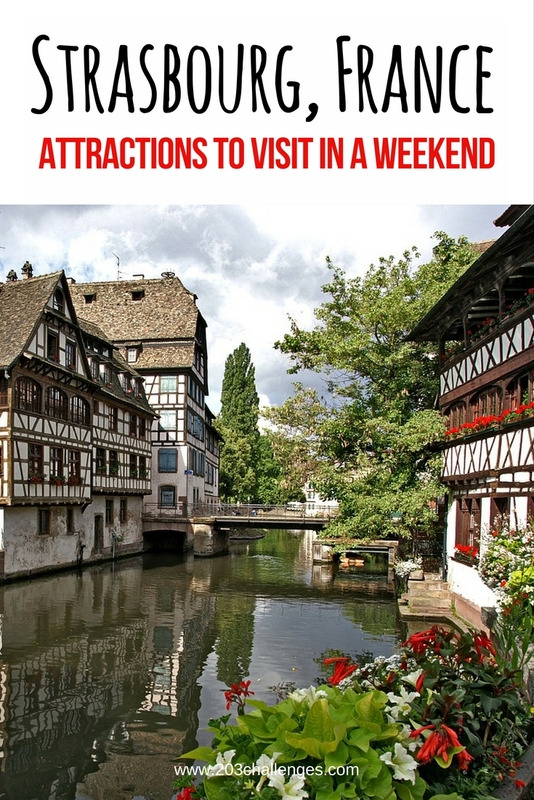 This way you can feast your eyes on Strasbourg’s attractions from a different angle and enjoy incredible views. St. Thomas Church (L Eglise Saint-Thomas) – This is the second biggest church in the city and it is located right behind the Strasbourg Cathedral. The splendid and high stained glasses really stand out against the modest interior of this protestant church. Here you can also see(and if you’re lucky – hear) an organ used by Mozart himself. 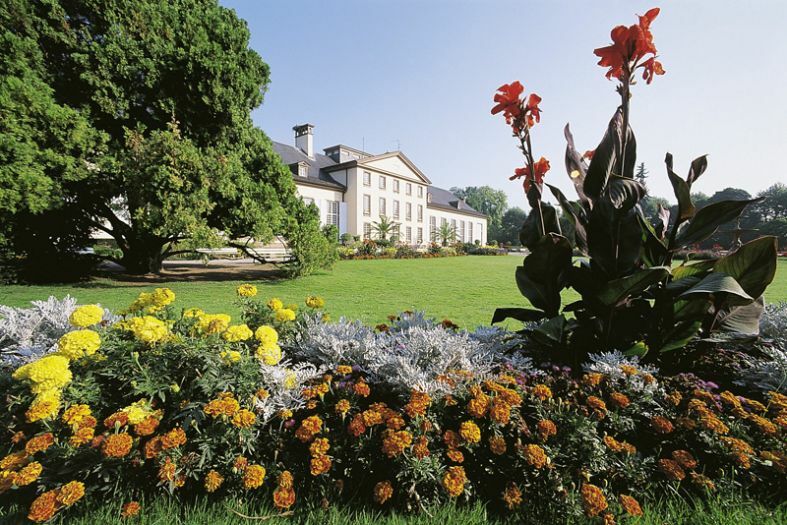 Council of Europe – This is the oldest European organization working on the European integration. If you wish to learn more about its goals and activities, as well as about its history, you may join one of the tours organized in the building. More detailed information is available here. 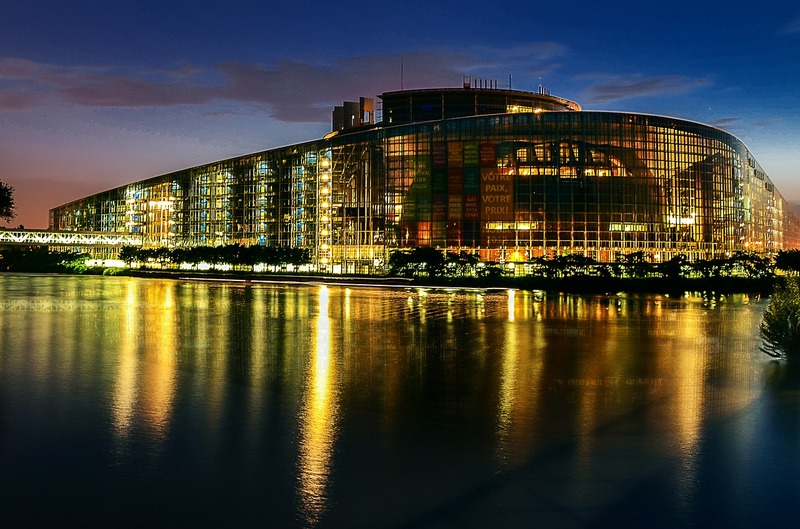 European Parliament – Its buildings are located outside the city center. The head office has modern glass architecture, which is shining bright under the beams of the sun and it can be noticed from afar. You may reach the European Parliament’s headquarters by boat along the Ill River or by train. You can examine the building, just make sure you have a reservation. 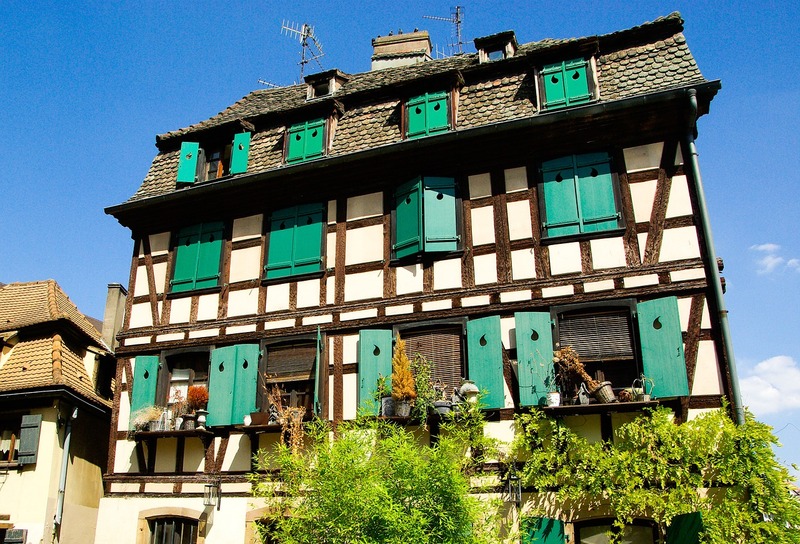 Alsatian museum (Le musée Alsacien) – The museum is comprised of several typical old houses. It is dedicated to the popular arts and traditions of the daily life of Alsace in the XVIII and XIX centuries. Here you can see authentic costumes, furniture, ceramics, toys, as well as replications of craft shops. The museum is situated in the central part of the city. More information here. Museum of Modern and Contemporary Art (Musée d Art moderne et contemporain) – The museum is built of pink stones and glass. It shelters spacious halls where you can see works of Picasso, Gauguin and Braque. There are also halls dedicated to photography. The museum opened doors in 1998 and it houses a huge library, a bookshop and a conference hall. It is situated in the central part of the city. The Secrets of Chocolate Museum (Le musée du chocolat) – Situated in the southern part of the city, the museum exhibits old machines used for chocolate production in the past. Here you can learn about the history of chocolate, its production and processing, as well as the different varieties. The café sheltered in the museum will make you pause your diet and try the hot chocolate, chocolate milkshakes, chocolate beer, chocolates and many other chocolate delicacies. More information here. Shopping in Strasbourg – Shops and luxurious boutiques offering leather items, jewelry, clothes and accessories, all these are found on Mésange Street (Rue de la Mésange) in the center of the city. Most of the local markets are open from Tuesday to Saturday, selling all kinds of goods and products at reasonable prices. In the area around the Strasbourg Cathedral, on the other hand, you can find small shops for Christmas decorations open year-round, while a month before the holiday a big Christmas market opens at the square. For souvenirs and stuffed toys, you should go to the Little France. Nightlife – Bars, discos, live music clubs, cabarets, intellectual nigh fun at the theater or opera, Strasbourg has it all. 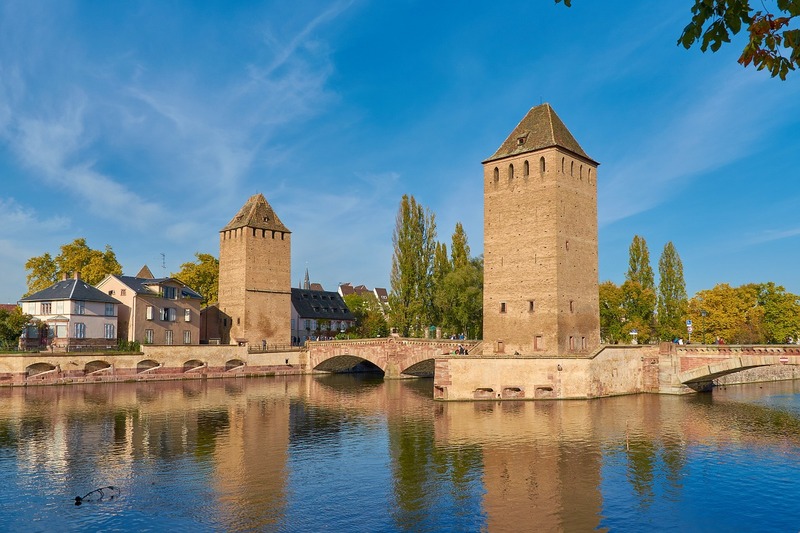 The most popular entertainment establishments are located in the area around the Strasbourg Cathedral, around the university, as well as on the streets along the Ill River. A light show is performed on the façade of the Cathedral every night during the summer months, and it is really worth seeing.